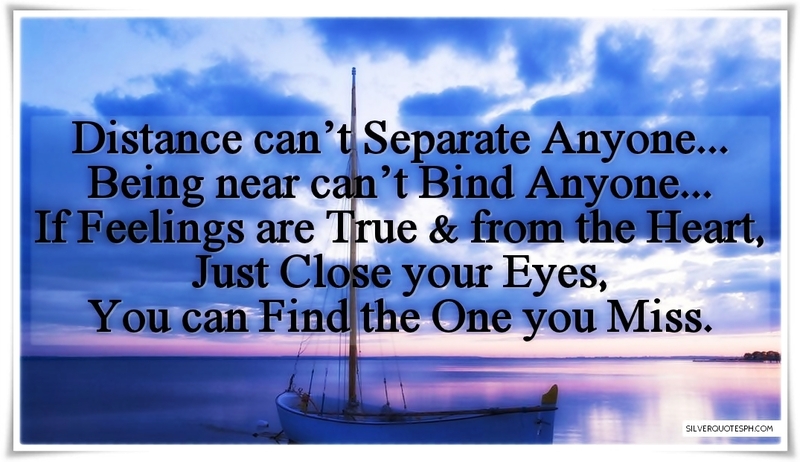 Distance can’t Separate Anyone... Being near can’t Bind Anyone... If Feelings are True & from the Heart, Just Close your Eyes, You can Find the One you Miss.